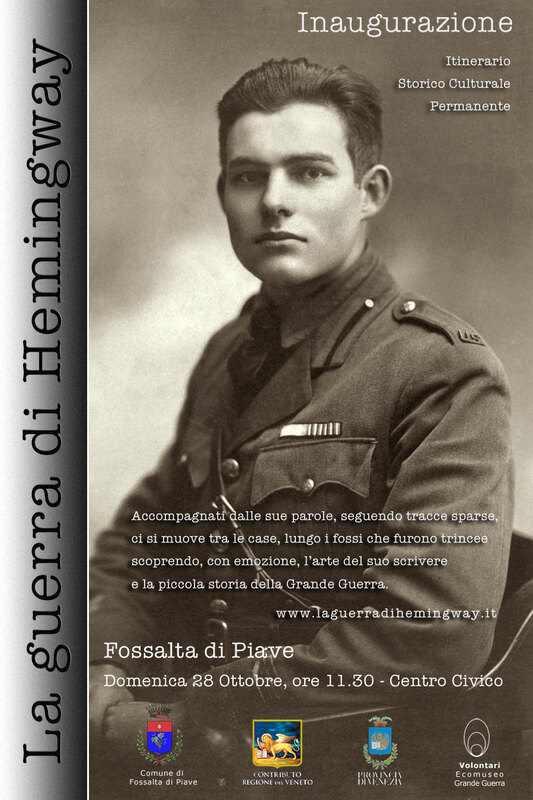 This 11km round trip in the area of Fossalta di Piave will be launched next Sunday, the 28th of October in a tribute to the author of A Farewell to Arms. The new achievement was possible thanks to the common efforts of Regione Veneto, Provincia di Venezia, Comune di Fossalta di Piave and, as it often happens in Italy, to the enthusiasm of a group of close friends working on a voluntary basis. Everything comes with a audioguide system that people can hire in the bars of the area or grab via QR code. 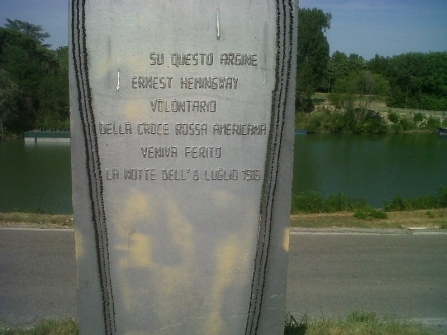 At regular intervals the visitors will find the blue signals showing "La guerra di Hemingway" (Hemingway's war) and on those spots they can play the audioguide and listen to the corresponding passage. As anticipated, this 90 minute multilanguage audioguide and the related map will be available as download to your smartphones and tablets thanks to the QR codes you will find at each milestone of the path. The historical and literary circuit is perfect also for bicycles (you can take into consideration of renting a bike at the local bike shop) and develops both on public and dirt roads. This is the reason why it is subjected to the traffic laws now in force. The concept of this start-up project is simple and great at the same time: forget about the possibility of reconstructing the dreadful tragedy of the First World War as a whole and let's go back to the words that still today enchant millions of readers. Then go back also to the places of the Great War. Walk them or ride a bike and discover how those words resonate when you walk that way. Google Maps starting point: Fossalta di Piave.